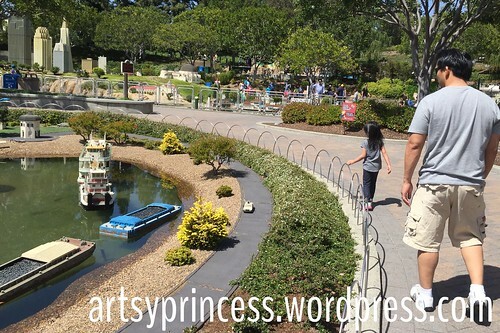 Legoland visits.. | Living life in the carpool lane..
We have passes, so we try to go as often as we can. That usually means we visit the parks about once a month. This past visit was a special visit because it made me very aware of how much the girls are growing up. For the longest time, K’s visits to Legoland were pretty uneventful. She’d spend most of her time in the stroller or in someone’s arms. She never really walked around. She was content with simply people watching. This time, she was old enough to want to get more involved in the visit. She walked around a lot more. She ran around and played with the Lego toys. She sat by the stage to watch the Lego Friends musical show. She thoroughly enjoyed her trip to the aquarium. M has spent most of her visits playing around with Legos and watching almost every showing of the Lego Friends musical. When weather permits, she’d spend the rest of the visit at the water park. 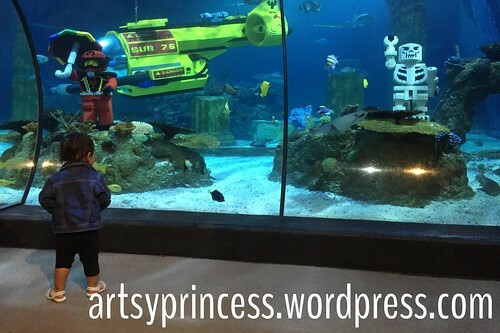 She would enjoy all the hands-on experiences that Legoland offers. This time, she was old enough to enjoy Mini-land. All the different city displays created out of Legos finally caught her eye. She loved running around to the different displays and catching all the tiny details. She was in awe and I finally saw how mature she was becoming. I enjoy watching my girls grow up. I enjoy watching their interests change. I enjoy watching how mature they are becoming. I enjoy seeing them change.